TOKU started with a wish to produce shoes that not only look good, but also feel amazing on the feet as well. What was even more important for us, was to know where the shoes were made, and who made them. The shoes had to be locally made, ethically made, using the best materials out there, and with a clean and timeless design, to make sure people could wear the shoes for years to come. Though our company’s shoe making traditions were long, making cutting edge design was new to us. Starting a new shoe brand meant that we needed some fresh blood, new ideas and help from the community. In 2016, our company was selected to take part of an EAS programme called “Design Bulldozer”, co-funded by European Regional Development Fund. Through that programme, we put together a test group of people, who would be representing our target-group. We asked them: what is missing on the market? What kind of shoes do you want to see on the shelves? Where would you buy a pair of shoes? What is important to you as a customer? 10 months of brainstorming, concepting and building the new shoe brand started right there. 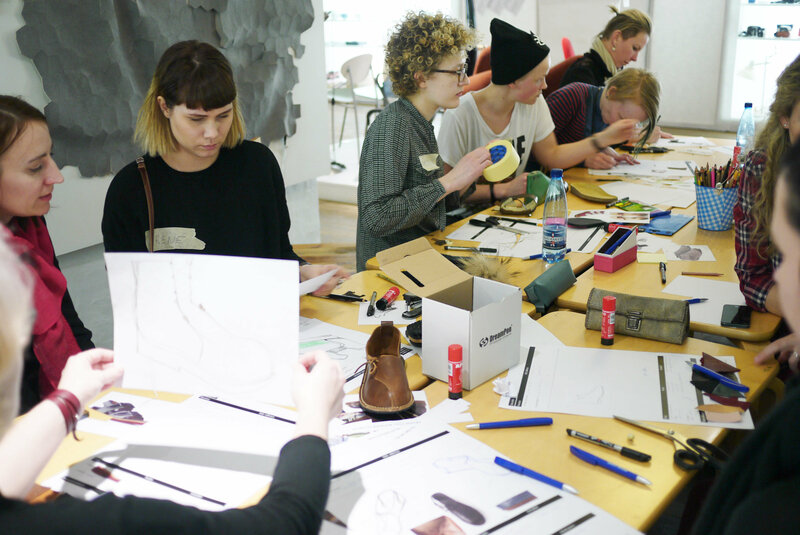 A team of three fierce leather artists – Lisette-Maria Puhalainen, Kristiina Nurk and Piibe Tomp – joined our factory in Võru for one season to create the first prototypes. 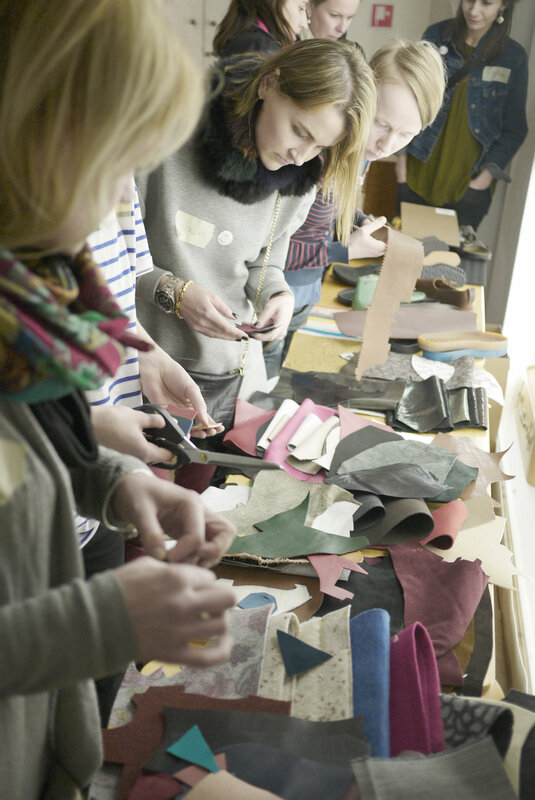 Moving from leather art to shoemaking was an exciting challenge, that not everyone is willing to accept. Leather artists working together with shoemakers with decades of experience brought freshness and excitement into our factory’s everyday life. A new brand equals endless opportunities! Which ones to go with? We decided to keep it minimal, practical and comfortable (check out our first photoshoot with our first prototypes). The design is also dictated a bit by the technological possibilities: in our factory, all of our shoes are hand made, which means the designer and the shoemakers have to work together to come out with a model, that would be able to produce in an organized manner. Is this for real? Is this a new shoe brand? After letting the test group try out our shoes, we decided that TOKU is a brand, that has to become real! We hired one of the designers – Piibe Tomp -, who took all of the first editions and turned them into real shoes, developed new ones and is now on the forefront of TOKU brand bringing in new designs, innovations and being the creative mind behind TOKU. In 2017, TOKU began and – alongside the shoes -, we also developed our brand name, logo, visual identity. Behind all that is Helene Vetik, from Hmmm Creative Studio, who during the first year of working with us won 2 prizes for TOKU and became the designer of the year. Even though we would love to, we can not become No 1 sustainable brand overnight. But that is our mission – become the best for your feet and best for our planet! This is why we are super grateful for any feedback you leave us about our shoes. Because we do listen and we do act.